When you hear the web series title, Some Guys Get It, you might assume the show has to do with how some men understand women or how a few of them choose family over careers. But this program is nothing like that. In fact, the aptly-chosen title is for a show about a young man who finds out he has the “woman’s disease” of breast cancer. 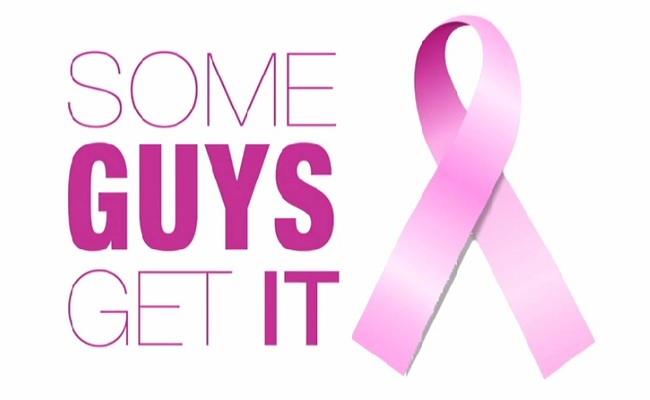 Yes, some guys do get breast cancer, a reality main character JT (played the series’ creator JT Mevo) has to deal with in the poignant first episode of this series. While the subject matter is heavy (not exactly what you’d sit down to after a long day of work), the installment does include a few comedic moments delivered with succinct timing and sarcasm, like when JT asks the nurse at the head desk if she really knows what it’s like to have a man’s “parts” and breast cancer in the same body. Mevo emailed Tubefilter about his show that he co-created with a woman named Linda, a breast cancer survivor herself. The two want to “shine light on apart of the breast cancer experience that few consider – men with breast cancer.” Mevo also notes they have the support of New York City’s breast cancer community. As such, JT and Linda promise to deliver through this web series a unique and vital story many men (and women) need to hear. The Art of Theatrical Ushery. Ever wonder what those ushers really do at your favorite movie theater complex? This series will show you. SanFranLand. A comedy about three friends letting the wacky ways of San Francisco show them what they want most in life. The Bizz Plan. In this series about money management for black millenials, Viner KingBach makes an appearance. Imperium. A fantasy drama about the devil’s age-old attempt to take down the kingdom of heaven.